An executive at Walmart Canada who suffered considerable distress in a drawn-out dismissal saw some relief recently after being awarded $750,000 in moral and punitive damages — one of the largest such awards in Canadian employment law. “This is about how not to dismiss an employee,” said Natalie MacDonald, owner and founder of MacDonald & Associates in Toronto, who represented the plaintiff, Gail Galea. The case sends a very strong message, she said. Galea was hired by Walmart Canada in 2002 as district manager-in-training. She was promoted several times through the next eight years to district manager, regional manager, regional vice-president, general merchandise manager and vice-president of general merchandising — with expectations she would one day become chief merchandising officer. Galea “proved herself a rising star in the (Walmart) firmament,” said the Ontario Superior Court of Justice in its Dec. 7 decision. She was asked to join several groups involving accelerated management, women leaders and executive development. But in January 2010, as part of a restructuring, Galea was removed from her role and informed her responsibilities were changing, with the possibility of an ex-patriate assignment. And in February, she was told she would be senior vice-president of merchandising and strategic initiatives, moving from a member of the senior executive team to a supporting position. Over the next few months, Galea’s role was never clearly defined, despite her best efforts. She also discovered her performance rating was lowered so she was no longer considered promotable. And after attending an eight-week program at Harvard University, Galea returned to find her personal effects had been moved to another office and her phone disconnected. Finally, in November 2010, Galea was offered either a severance package or the position of senior vice-president of e-commerce, a role she did not consider comparable to her experience. Still considering her decision, Galea was informed 10 days later her employment was terminated. She also saw her compensation and benefits payments cut off after 11 months, despite signing a non-competition agreement that entitled her to two years’ severance pay if she was ever dismissed without just cause. So Galea sued Walmart Canada for the remaining severance owed, and moral and punitive damages. In the end, she was awarded more than $1. 6 million in damages. The company’s behaviour was “more egregious” than Walmart in the 2014 Boucher v. Wal-Mart Canada Corp. case, said Emery, where the plaintiff was awarded $1 million in damages by a jury (this was reduced on appeal to $100,000). “(Emery) wasn’t swayed by the fact that Walmart is the world’s bigger retailer — he looked at denunciation and deterrence as being his major factors,” said MacDonald. The decision definitely placed a great emphasis on the bad faith manner of dismissal, as Emery found Walmart, in implementing major personnel changes, allowed Galea “to twist in the wind,” she said. For Walmart, it wasn’t just a matter of oversight, said Andrew Vey, founding partner at Vey Willetts in Ottawa. “They just strung her along, and that… for the court, really was the tipping point that pushed them to say, ‘This is the type of case where extraordinary damages are appropriate,’” he said. Clearly, something fell apart in this situation, said Vey. 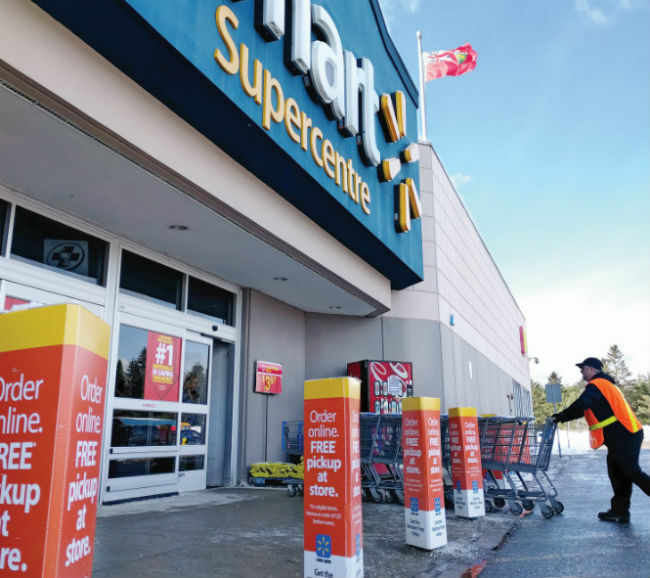 It’s possible Walmart had the idea that to dismiss Galea would have been cruel and harsh, and it was looking around for a role that was appropriate, said Erin Brandt, lawyer at Kent Employment Law in Vancouver. When it comes to moral damages, it’s about the mental distress associated with the manner of dismissal, said Brandt. The moral damages given also ends the long-standing debate in Ontario, and affirms the principle, that no medical evidence is required in support of an award of moral damages, said MacDonald, author of Extraordinary Damages in Canadian Employment Law. Moral damages are pretty rare, and often it’s about more than the average pain and depression associated with losing a job, said Vey. Generally, punitive damages are there for particularly reprehensible conduct, where the court really wants to send a message to all employers to say, “This is the type of stuff you can’t do,” he said. The damages in the case also took into consideration Walmart’s behaviour during litigation. The retailer was “either purposely dilatory in instructing its counsel to provide disclosure and to conduct examinations for discovery, including the legal obligation to provide answers and supporting documents to (fulfill) undertakings on a timely basis,” said Emery. Although the judge did not fault the retailer’s legal counsel, he found that the company delayed answering undertakings until the eve of the trial, then followed with a “torrent of productions,” said MacDonald. Part of the problem for an employer like this is it lends optics to the court that perhaps this is all just part of a broader hardball litigation strategy, said Vey. It is very common for employers to take a hard-line approach with employees, with the perspective they want to deter employees from bringing these kinds of claims forward, said Brandt.